While the photo itself is nearly two months old, it is still a striking capture. I am particularly drawn to this photo due to its splashes of color. 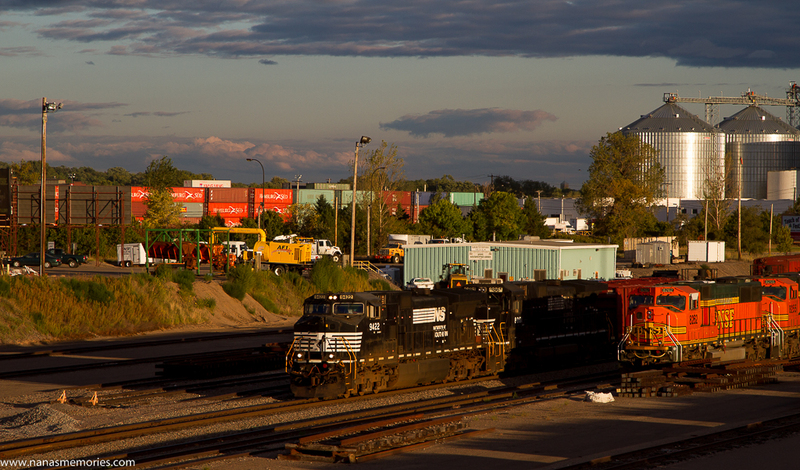 With the sunlight pouring into the scene and the landscape dotted with lines of shipping containers and complete with a pair of grain bins to anchor the scene, every aspect of this Minneapolis Rail Yard makes for a compelling photo.